The latest episode of Marvel’s Agents of SHIELD featured a slightly unhinged Australian demolitions expert. You can probably see where this is going. The parallels don’t end there. At one point, James tossed an object that looked pretty much exactly like Junkrat’s ammo. 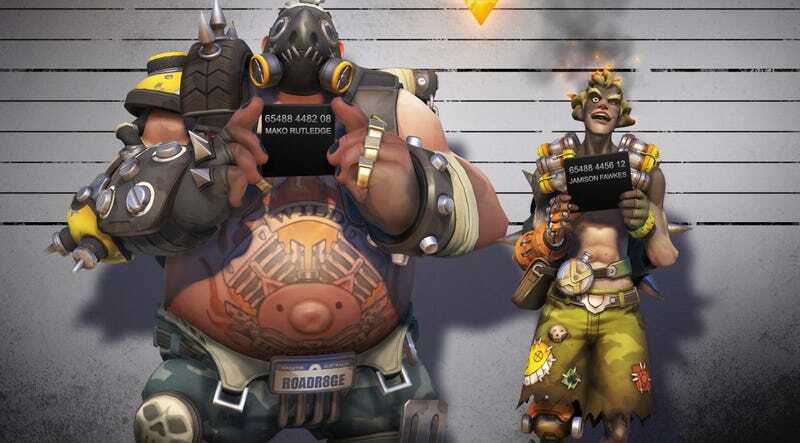 Also, Junkrat’s real name is Jamison Fawkes. So basically, James. Now, if you tried really, really hard because you pride yourself on being The King Of Internet Skeptics, you might still be able to chalk this up to coincidence. But you’d be wrong. In a pair of Reddit posts, the episode’s writer said it was all intentional. He even pointed out some things people missed. Why so much Overwatch in SHIELD, of all things? “Overwatch procrastination is a large part of my writing process,” Owens said. Looks like some wires got crossed. And then everything exploded. Junkrat would be proud.